Enjoy the unique opportunity to spend your vacation at an incredible place where all you will hear is the sound of waterfalls and the nature surrounding the estate. We respect the fact that some guests want their privacy and time alone. However, we are available for any additional questions and will be glad to help you with ideas and tips on where to go and what to see. 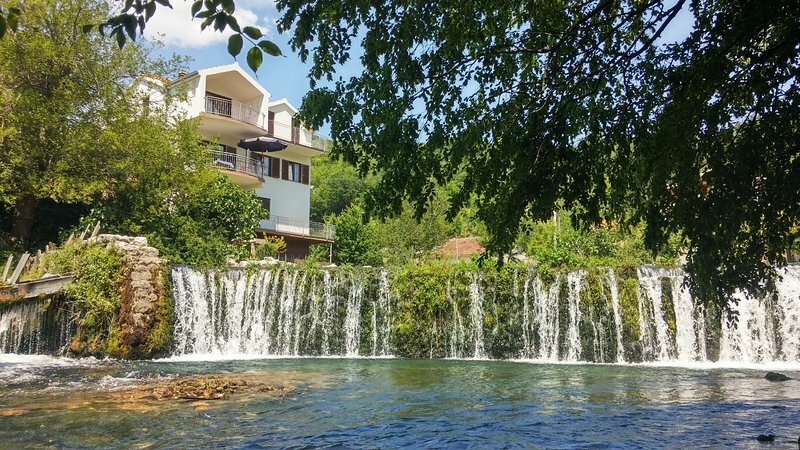 Our Waterfall House was built only 500m from the very source of the river Grab, in the quiet environment of the village of Grab in Trilj county, surrounded by untouched nature and with a spectacular view of the river and the small waterfalls. 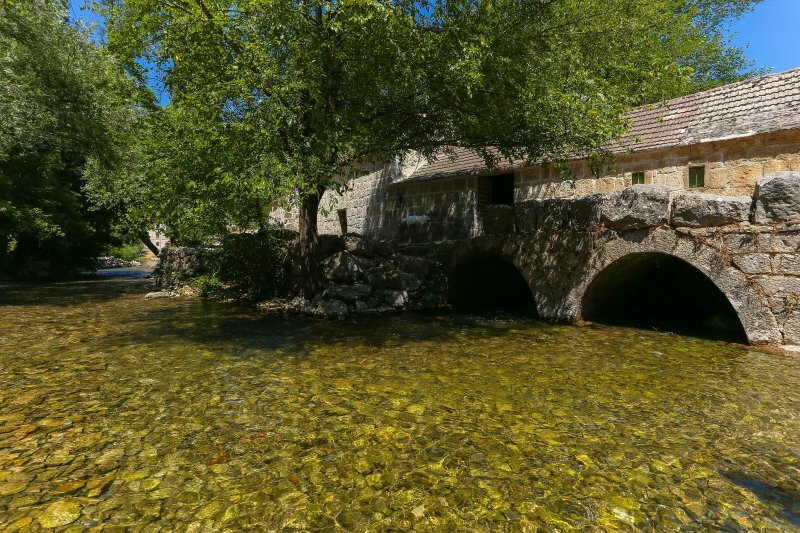 The estate is located just a few steps away from the old watermill, one of three preserved watermills in this part of the Dalmatian hinterland. 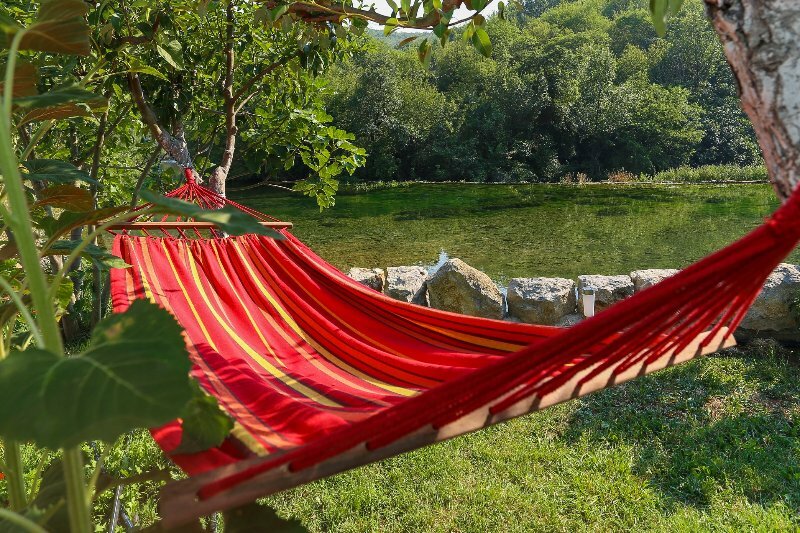 Easily accessed from the highway A1, exit Bisko, 60 km from the nearest airport (Split). Nearest train station is in Split (35 km) and the local bus station (bus from Trilj) is 300m away. We can organize a pick up/drop off to/from the airport, train or bus station, on request (extra charge).